The KK Lifting System has a range of KK Lifting Accessories for installation. 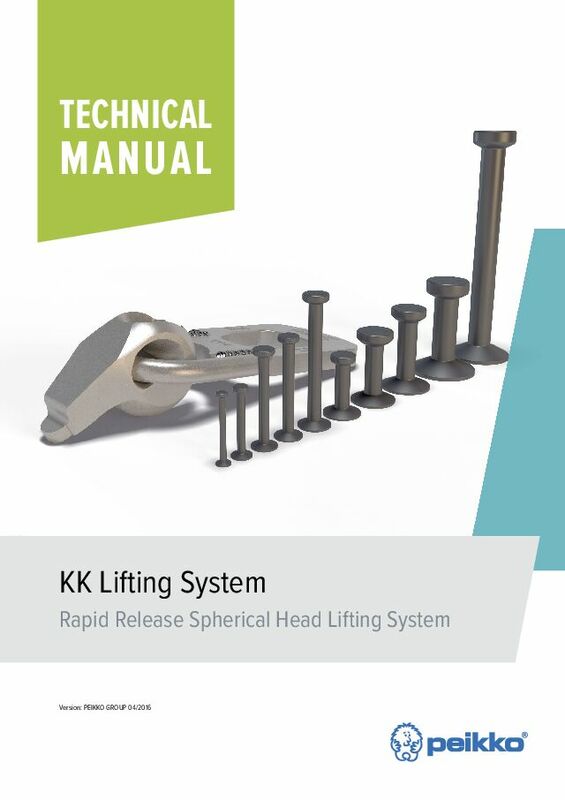 KK Lifting Accessories are rotationally symmetric and easy to install. KK Lifting Inserts are attached to the formwork with installation accessories fixed to the formwork with screws or magnets. KRC Recess Items are made of rubber and fixed to the formwork using either KFS or KFS-IT Fixing Items. They can be used with all KK Lifting Inserts and KKL Lifting Keys. There are eight sizes available with different load classes. A color code system shows the load class. KFS-IT Fixing Items are inserted into KRC Recess Items and then fixed with a metric threaded bar or a screw through a hole in the formwork. The bars and screws can be opened manually. KFS Fixing Screws are inserted into KRC Recess Items and then fixed with wing nuts through a hole in the formwork. KSR Steel Recess Items are made of steel and fixed to the formwork using a threaded bar. The lifting insert is fixed to the KSR with a KMG grommet. The recess items can be removed manually. KMR Magnetic Recess Items are used with steel formwork and require no drilling. The lifting insert is fixed to the KMR with a KMG grommet. KMG Grommets are placed around KK Lifting Inserts, which are then inserted into the KSR, or KMR Recess Items, which are fixed into the formwork. KMG Grommets fix KKL Lifting Inserts with pressure against the KSR or KMR opening. KK Lifting Keys are used to attach the crane hook, lifting slings or chains to the KK Lifting Insert, which is cast into the concrete element. KK Lifting Keys enable element lifting, turning and tilt-up. KK Lifting Keys can be used with all of the KK Lifting Inserts without limitation. KK Lifting Inserts are cast into concrete elements and they act as counterparts for KK Lifting Keys. KK Long Inserts are ideal for all types of lifting operation and are commonly used in thin or very thin elements with sufficient anchoring depth. KK Lifting Inserts are cast into concrete elements and they act as counterparts for KK Lifting Keys. 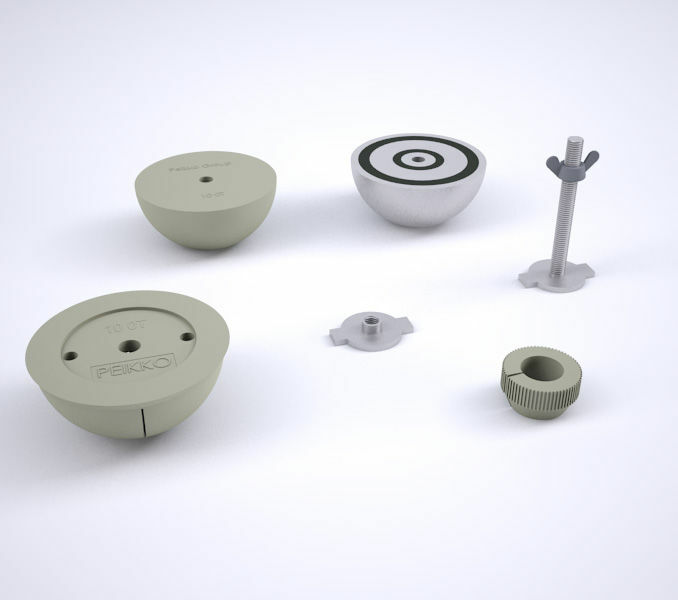 KK Short Inserts are ideal for all types of lifting operation and they are used in applications where only limited anchoring depth is present, such as in slabs.